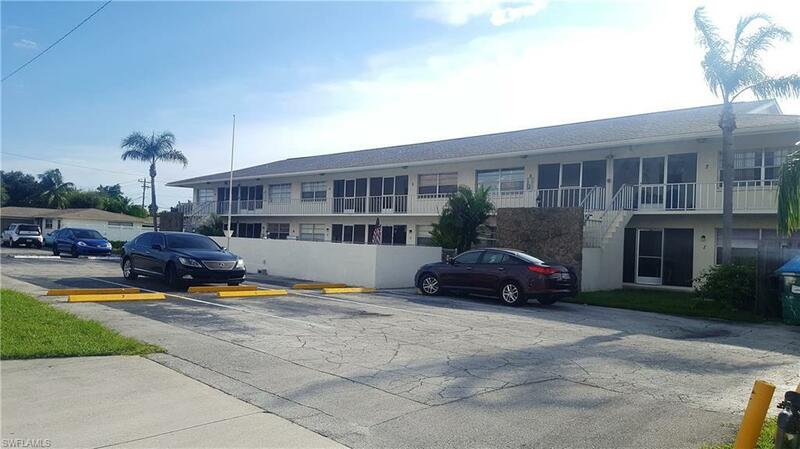 5210 Coronado Pky #2, Cape Coral, FL.| MLS# 217056585 | Southwest Florida Residential Real Estate for Sale. South of Cape Coral Pkwy in the highly sought after Yacht Club district! This is one of only two condos priced under 100k in this great locale. First floor unit makes life easy with your own assigned parking spot located just outside the unit. Plenty of guest parking too! This home has the kitchen opened up to the living area so it feels much larger than the square footage. Enjoy the breakfast bar overlooking the great room area. This condo comes with all appliances ready to go. The A/C is new as well as the dishwasher. The condo recently updated the community pool and it looks great! Walk right outside your unit and catch some rays or a quick dip. Your next condo has two nice sized bedrooms with two full bathrooms and a nice sized living area. It has a great flow to it. There is a washing machine and dryer located inside the unit which is rare for condos priced in this range. This home is located within walking distance to the Cape Coral Yacht Club and you're right in the heart of downtown Cape Coral. The Boathouse restaurant and a boat ramp are just a few miles up the road, along with the tennis, pool, beach and more at the famous Cape Coral Yacht club.